Guille and Debbie are church planters in Buenos Aires, Argentina, where they are committed to helping Christians understand and value the riches of a multicultural environment. Their Nuevo Avivamiento congregation started a season of a renewed and intentional emphasis to become a disciple-making church. Guille, along with Marcelo Robles, has also started Misión Beta, a church planting center in alliance with Redeemer City to City, and is partnering with other pastors in Buenos Aires who share the passion for church planting and city transformation. Guille teaches at Instituto Superior de Estudios Teológicos, a seminary in Buenos Aires. 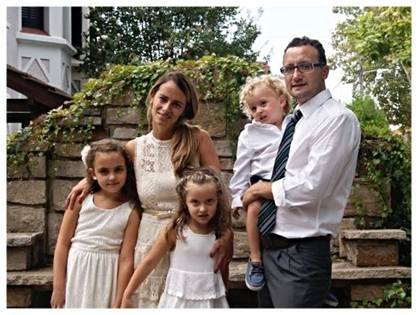 The MacKenzies have three children, Camila, Catalina, and Benjamin. Pray for Misión BETA, Church Planting and City Transformation. Pray for God to confirm the vision and next steps for Misión Beta. Pray for a balanced church focus between worshiping God, loving each other, and serving the world.